I’m not sure what material those necklaces are made of but I decided to use suede since I already have this with me. 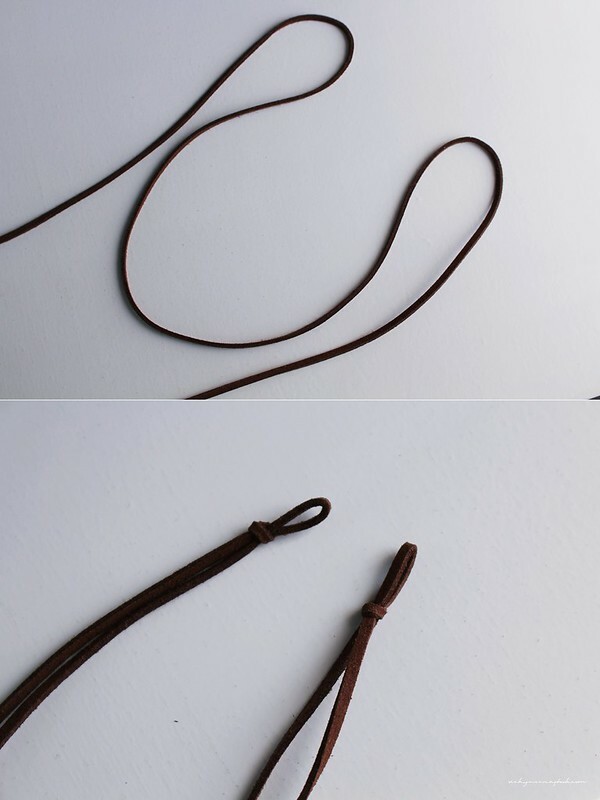 I first started with a long piece of suede cord, which I wrapped around my neck to see how long I preferred. 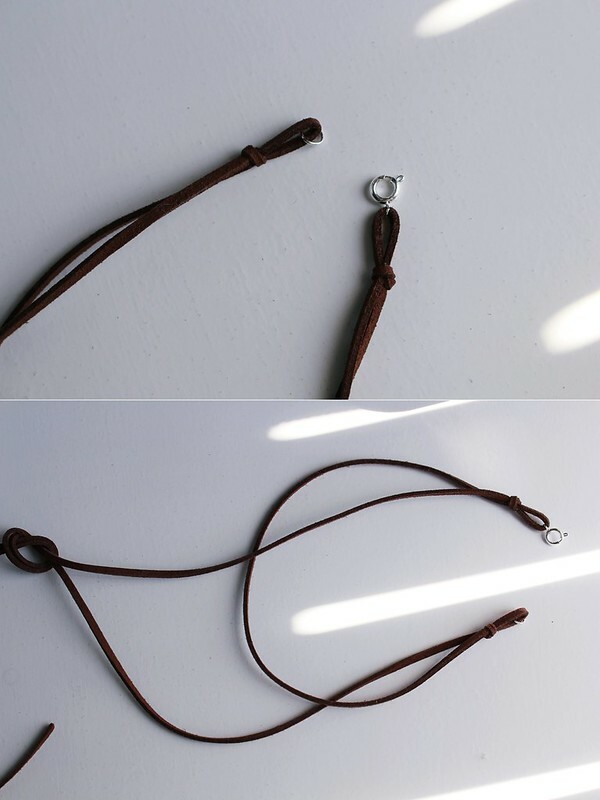 I placed it in a “M” shape, where the loop between the two points is size of my neck. Then, I tied and made two loops at the two points. After I have two loops, I attached the ring and clasps onto the two points of the “M”. Now I could tie the loose pieces whichever way I like. Have you seen any of these necklaces around lately? It’s amazing how something so simple can look so nice Vicky. Well done. 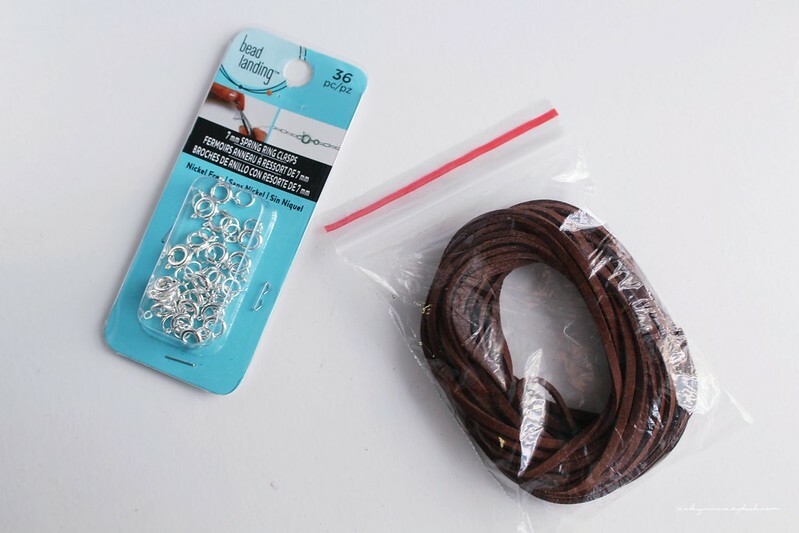 I have seen this trend in DIY jewelry and am excited to try it out. I adore what you’ve done with this necklace. This kind of project will be perfect for my new arts and crafts website.